There are people you meet in this life who have exuberance of spirit that shines through. They are the ones who find a positive in every occurrence and, without thinking, find a way to make lemonade out of every lemon. Spend a few minutes with Rachel Ragone, a college student from Long Island, and you will quickly realize you are with just such a person. Rachel’s story is not an easy one to hear; it has been fraught with challenges. But you would never know it from the smile she wears, the determination she exhibits, and the positive outlook she holds dear. Rachel was sixteen years old and a student at Eastport South Manor Junior-Senior High School when she was diagnosed with Ewing’s sarcoma, a rare cancer that forms in the bone or soft tissue. Her mother and biggest cheerleader, Kim, recalled the day as the worst of her life. “How could this be?” Kim asked herself. “You hear all the time about kids getting sick, but you never think it will touch your family. Well, that day, it touched mine and changed it forever.” Rachel battled her cancer during her junior and senior years of high school. She underwent a full year of inpatient chemotherapy, along with three surgeries and more than a month’s worth of radiation treatments. She has endured countless blood transfusions and the many side effects of her treatments. Through it all, she held on to her dreams – attending college, embarking on a career in finance, and enjoying a life well lived. With the help of treasured friends and a family that loves her with every fiber of their being, Rachel completed her treatment and graduated high school – 5th in her class. Fresh off of chemotherapy, Rachel began her college career at Fordham University. There she majors in accounting and finance. She has excelled in all of her classwork, made the Dean’s List and works with her university’s chapter of Smart Woman Securities. JP Morgan Chase selected her as one of two interns following a very competitive search process. Aside from the emotional costs associated with a child battling cancer, Kim noted that the financial costs take a toll on the family. Friends and family have rallied around them with crowdfunding campaigns and local fundraisers to help, but the expenses are tremendous. Enter the Michael Magro Foundation. Kim’s mother happened to be one of the phlebotomists on duty at a blood drive organized by Michael Magro Foundation. She was working with Terrie Magro on her blood donation when they struck up a conversation. After learning Rachel’s story, Terrie knew the Foundation had to help. Funds from the Michael Magro Foundation were allocated to help Rachel’s with her upcoming college costs, a true help for a family trying to pay down medical bills. Since that time, the Magro and Ragone families have stayed in touch, with Terrie checking in regularly to see how Rachel is faring. Rachel is still undergoing treatment that began in February of this year. She is taking a leave of absence from Fordham (although she is taking a few courses online), and marvels at how supportive the administration has been. JP Morgan Chase, as well, has supported Rachel. Unable to participate in her internship with them, they have held her spot until she has completed treatment. Her other internship, with G100 Companies, has worked with Rachel by having her come in when able – during weeks when she is not scheduled for treatment. Her supervisor not only considers her an asset, but also a great spirit. Thus far, Rachel is responding well to treatment. If all goes well, she plans to return to school in 2018. And everyone who has ever met her is rooting for her to get well. Having heard that Rachel had relapsed, Terrie wanted to do more. Through a networking group, Terrie was introduced to Bradley Siegel. 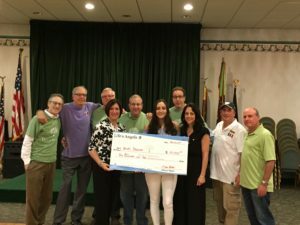 Bradley is one of the founders of a new nonprofit, Life’s Angels, which brings together a usual crowd of recreational poker players, along with a band of new friends, for camaraderie, cards, and conversation – all the while raising funds for neighbors in need. 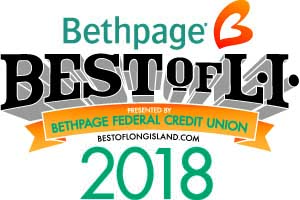 According to Siegel, “We had no idea who we might find that needed help, but we knew there were so many on Long Island with compelling stories. Our goal is to impact as many lives as we can in a meaningful way.” One conversation between Terrie and Bradley led to just that. Bradley and the Board were so touched by Rachel’s story and remarkable spirit that they selected her as one of two beneficiaries of Life’s Angels’ first fundraiser. 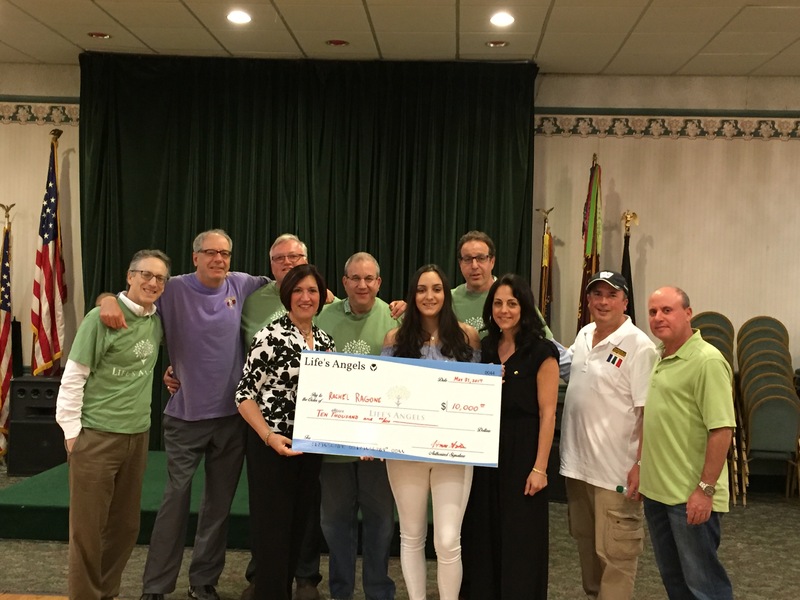 Their generous support, facilitated by Michael Magro Foundation, is easing the financial burden for the Ragone’s. Rachel has a long road ahead of her; cancer is a difficult opponent. Rachel’s spirit, however, seems indomitable. She is fighting cancer with not only the strength of her body, but also the strength of her spirit. In her corner – all those she has met and touched in her 20 years. Everyone at Michael Magro Foundation sends her love, light and the power of positive energy to win her battle. Michael Magro Foundation is a 501(c) 3 non-profit organization founded by Paul and Terrie Magro to honor the life of their son Michael, who passed away from leukemia at the age of 13. The Foundation works with the Cancer Center for Kids at Winthrop-University Hospital, Stony Brook Children’s Cancer Division, and other Winthrop and Stony Brook pediatric specialties where treatment of chronic diseases is ongoing. The core programs offered are: Life Essentials [helping families struggling financially during their child’s treatment with non-medical expenses]; Project SOAR [providing support for childhood cancer patients, families, students and teachers when the patient returns to school following long illnesses]; and Bonding With Baby [helping siblings of babies in the Neonatal Intensive Care Unit (NICU) communicate and bond]. For more information on Michael Magro Foundation, visit www.michaelmagrofoundation.org or email info@michaelmagrofoundation.org.